As the Rosetta space probe tumbles through the heavens nearing the end of its 12-year mission, a Salford group dedicated to exploring and celebrating the night skies launches a new series of free winter lectures. Salford Astrononmical Society are running public speaking events from September through to April. These will be on every aspect of astronomy from NASA missions to comets to how life could exist on other planets. Everyone with an interest in the stars is invited. 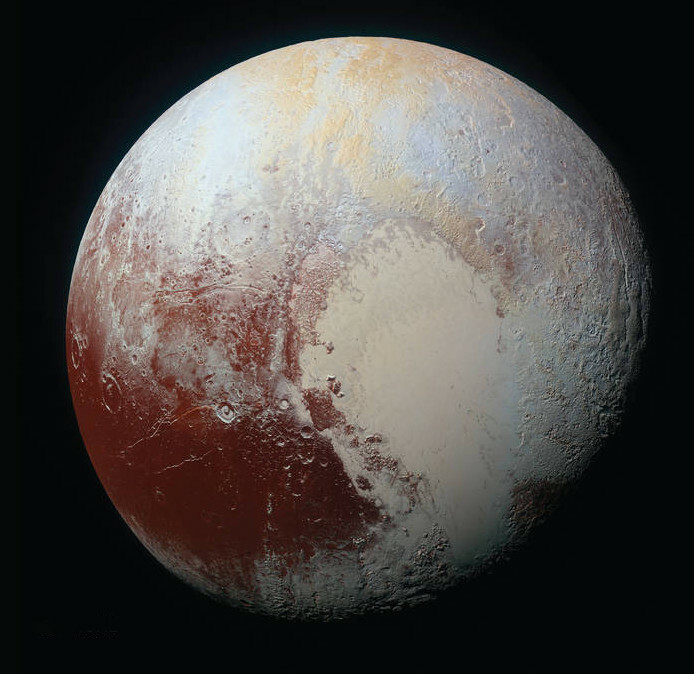 The first lecture on 12 October by BBC Sky at Night reviews editor Paul Money will discuss Pluto and the New Horizons flyby. Three billion miles from earth, travelling at speeds that would get it from Salford to Rio de Janeiro in around four minutes, NASA’s New Horizons spacecraft took incredible deep space pictures of Pluto and its moons. These are distant worlds that humans had never before seen up close. To say that it changed our view of the solar system forever would be an understatement. Solar eclipse expert Paul was famously part of the expedition team for the Poseidon Arctic Voyages, sailing aboard the Russian nuclear powered Ice Breaker ‘Yamal’ for the 2 August 2008 eclipse. On 9 November Russell Parry will speak on the Appley bridge meteorite, then on 11 January 2017 Chris Suddick talks on the Greek and Roman mythology of stars. On 8 February 2017 Tim Old produces a lecture on New Horizons, while on 8 March 2017 Rod Hine explores the groundbreaking scientific discovery of gravity waves. The season finishes with Martin Braddock’s incredible talk on extremophiles, the Fermi paradox, and why life must exist throughout the universe. Society chair Kevin Gaskell told SalfordOnline.com: “Paul is a fabulous speaker and we would love to get as many people to come along and enjoy this as possible. Dr Allan Chapman – the famed astronomical historian – grew up in Salford and is the Society’s honorary president. He has been running the society’s free Christmas lectures for nearly 40 years. “He’s never repeated one yet,” says Kevin. Salford Astronomical Society’s free lectures are held on the second Wednesday of each month from 7.30pm in Room 115 of Salford University’s Maxwell Building, on The Crescent, Salford.